This Day in Dodgers History: In 1991 the Dodgers signed 17-year old amateur free agent pitcher Ismael Valdéz out of Victoria, Mexico. He would eventually play seven seasons in LA during an 12 year career -- accumulating an 61-57 record, an 3.48 ERA, a 3.88 FIP and a WHIP of 1.235 as a Dodger. In 1993 the Dodgers play their very first game in Colorado against the expansion Rockies. Behind the pitching of Pedro Astacio, Los Angeles pounded out 12 hits (including a Jody Reed homer) to win the game, 9-4. In 1995 Dodger hurler Hideo Nomo struck out 16 Pirates to set an Dodgers all-time rookie record for strikeouts. 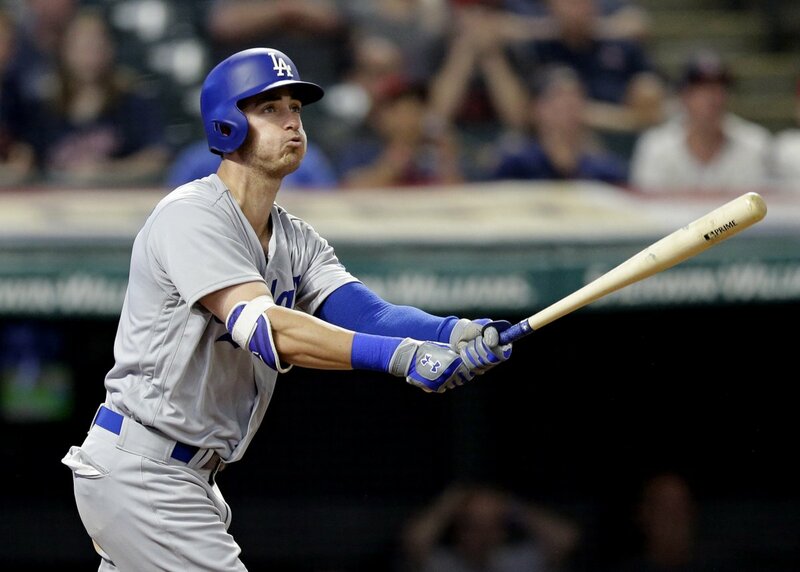 ICYMI: Adrián González was placed back on the DL yesterday for back discomfort while Joc Pederson was reinstated from the seven-day DL due to a concussion. He's still a knucklehead. 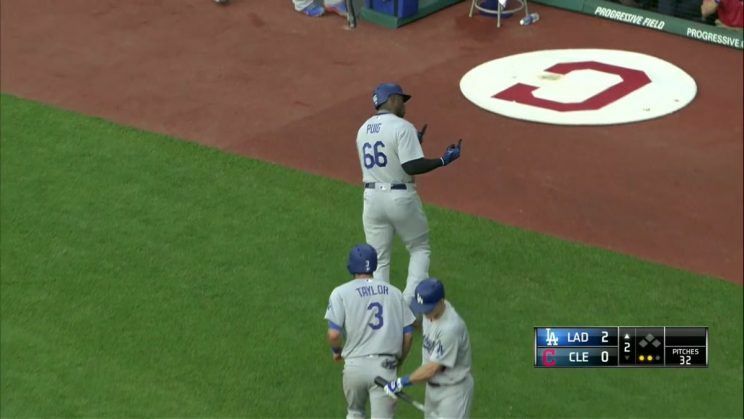 Per an ESPN report; "After celebrating homer, Yasiel Puig aims obscene gesture toward fans in Cleveland." "I reacted that way," Puig said through an interpreter after the Dodgers posted a 7-5 win against the Indians. "I stooped to their level." Per Bill Shaikin at the LA Times; "Vin Scully to perform at Hollywood Bowl." Scully will narrate “Lincoln Portrait” by Aaron Copland, which mixes orchestral music with the words of Abraham Lincoln, excerpted from speeches and debates. The performances are featured in the July 13 and July 18 shows, conducted by Gustavo Dudamel. The shows also include Copland’s “Fanfare for the Common Man” and Beethoven’s Ninth Symphony. Per Eric Stephen at True Blue LA; "6 Quakes named to California League All-Star team." Catcher Will Smith, the Dodgers’ first-round supplemental pick in 2016, and outfielder Luke Raley were both elected to start for the South, while outfielder DJ Peters, first baseman Ibandel Isabel, and pitchers Dennis Santana and Caleb Ferguson were selected as reserves.